A mother who gambled away £100,000 donated for treatment for her seriously ill son has walked free from court after a judge accepted she had been under “extraordinary pressure”. 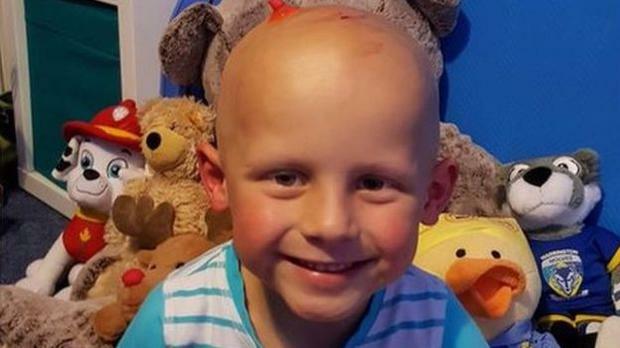 Nurse Stacey Worsley was given a suspended sentence at Leeds Crown Court by Judge Guy Kearl QC who said he agreed that she started gambling online with the money with the intention of increasing the funds raised to help her son, Toby Nye, who was battling a rare cancer neuroblastoma. Judge Kearl described how Worsley began to chase her losses and the situation “spiralled”. The court heard how Toby’s £200,000 treatment was eventually funded after Leeds United football club became involved in the fundraising. But the youngster died earlier this year, aged six. Worsley, of Osmondthorpe, Leeds, was given a two-year jail sentence, suspended for two years, on Friday. She admitted fraud at an earlier hearing. Judge Kearl said he had to balance the “extraordinary pressure” she had been under and the fact she had two other young children to look after against the dent in confidence this case would inevitably bring to others wanting to donate in similar circumstances. He also noted that Worsley had not spent any of the money on luxuries for herself. The judge was told that Worsley ran up £140,000 in gambling debts. He said the cash had been recovered from the online gambling companies and West Yorkshire Police currently hold around £135,000 which would be given back to major donors and other charities. The judge heard how Toby was initially treated on the NHS but, when this trial failed, his family began a £200,000 fundraising campaign. This involved a JustGiving page plus a range of other activities, including raffles and a charity ball. Toby’s school raised almost £6,000 and one woman donated a large sum raised for her daughter after the NHS stepped in to fund her treatment, prosecutor Phillip Adams told the court. In August 2017, Leeds United became involved in fundraising for Toby, which raised the profile of the campaign. After the football club’s involvement, a decision was taken to close the JustGiving page, which had raised £65,000. Of this, £41,000 was given to 32-year-old Worsley to help improve Toby’s life. Mr Adams said other donations had gone directly to the defendant, making a total of just over £100,000. Nicholas De La Poer, defending, said Toby died 11 weeks ago after a “long and courageous fight”. The barrister said the online betting “spiralled hopelessly out of control” and “she was in the grip of it”. Mr De La Poer argued that Worsley’s surviving children, who are aged seven and two, needed their mother. He said his client would almost certainly lose her job as a nurse as a result of the conviction. As she left the courtroom, Worsley was hugged by members of her family, many of whom were in tears. The court heard that none of the money raised by Leeds United went through Worsley and was all spent on Toby’s treatment.